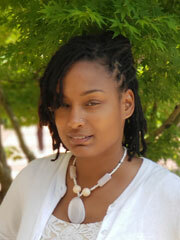 Krystal is a native of Chicago and a mother of two lovely teenaged daughters, Airiyon and Ariyah. She enjoys spending lots of time exploring the great outdoors, visiting the theater, cooking a variety of cuisine, and listening to different genres of music. She has worked in the Wellstar Health System for over 5 years serving in various capacities. In her current role as a Clinical Medical Assistant for Wellstar Center for Genetics and Individualized Medicine, she works with a diverse population of cancer patients coming from various walks of life. Her deep compassion for serving others and love for recreational dancing is what inspired her to participate in the DWTS of Cobb County event. She has been known to truly “Dance like nobody’s watching”. 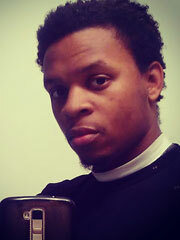 Originally from Houston, Texas, Anthony "Fyrefli" Gasaway has a background in breaking, popping and a few Latin styles. Anthony moved to Atlanta 2 years ago. He teaches at Rockwell Dance Academy and Mad House Dance Co. When he's not dancing, Anthony teaches at Epic Martial Arts in Woodstock.